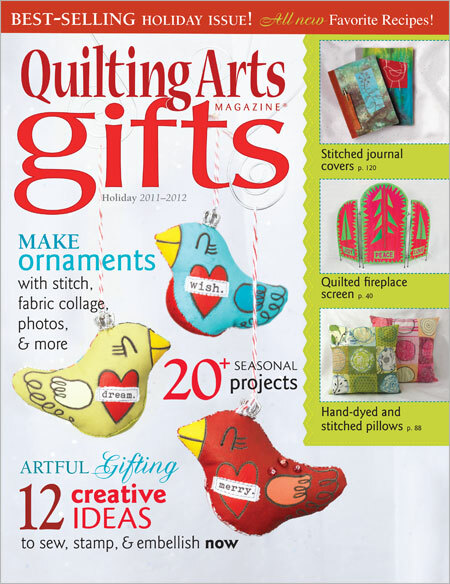 Check out the newest issue of Quilting Arts Gifts! I am delighted to have a project included in this year’s issue. This special edition of the magazine is chock full of dozens of patterns and tutorials for fantastic quilted gifts, ornaments, and holiday projects. This is a sneak peek of my project, a quilted journal, sketchbook or planner cover. 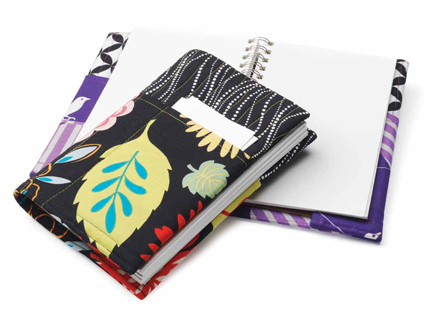 It has fantastic pockets for pens and notes. I use this quilted cover for my planner and simply can’t live without it. Now you can make one for yourself and a friend in no time at all! New this year is the inclusion of special recipes from the contributors, a delicious bonus. So, go ahead, head to the Interweave store and buy one today so you can start quilting those projects right away! This entry was posted on Sunday, August 28th, 2011 at 7:32 pm	and is filed under Journal Quilts 2008. You can follow any responses to this entry through the RSS 2.0 feed. You can leave a response, or trackback from your own site.